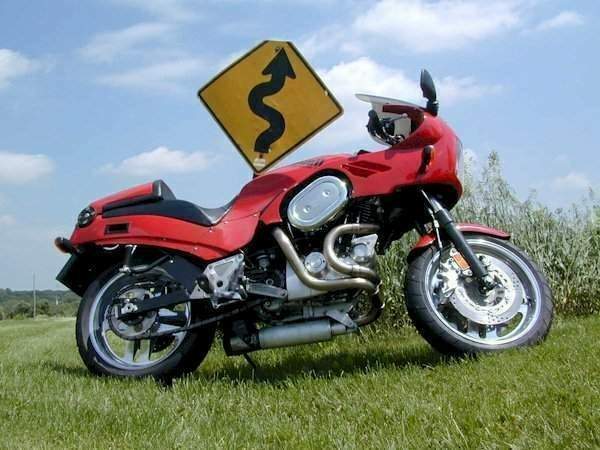 Harley-Davidson's traditional concentration on cruisers and tourers has, over the years, led many smaller firms to produce sports bikes powered by the Milwaukee company's trademark V-twin engine. 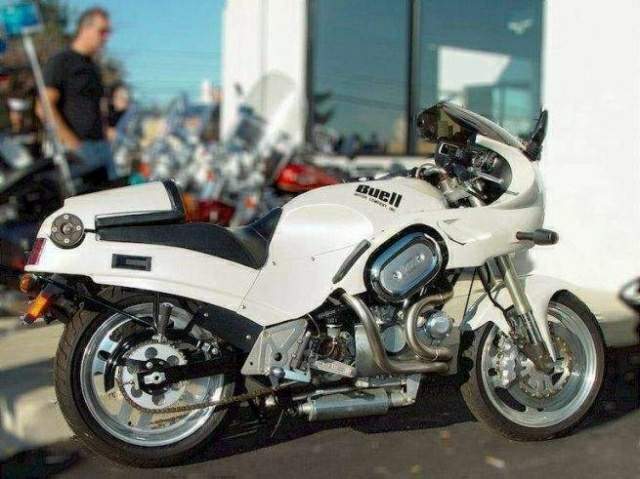 Most successful has been Erik Buell, a former road-racer and Harley engineer, whose series of innovative bikes have justified Buell's slogan: 'America's Faaast Motorcycle'. 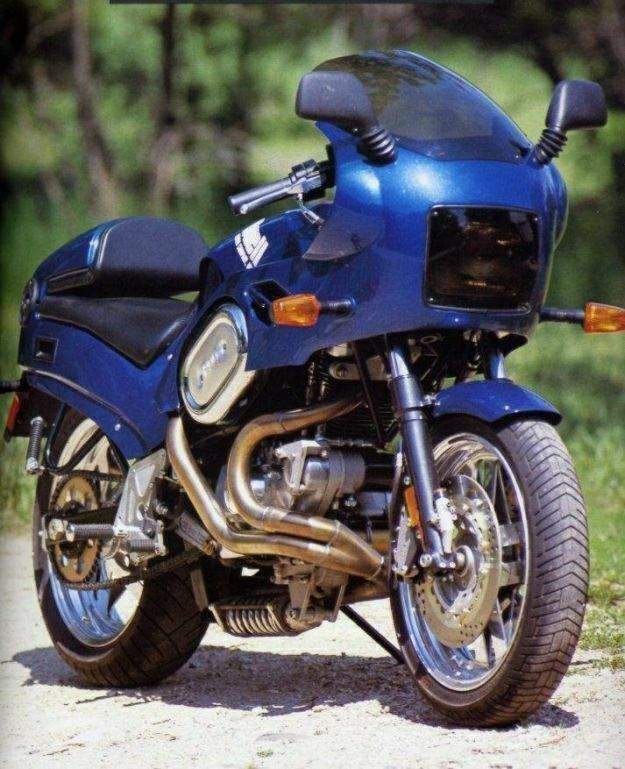 Equally importantly, the Buell's compact and well-appointed chassis meant that this was one Harley-engined bike that positively encouraged hard riding on twisty roads. 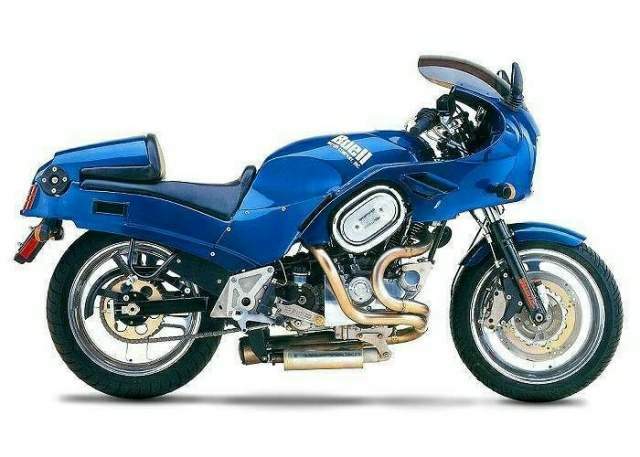 The RS1200's racy steering geometry, excellent frame design and taut forks gave quick steering and flawless high-speed stability, though cornering was compromised slightly by the rather imprecise rear suspension set-up.